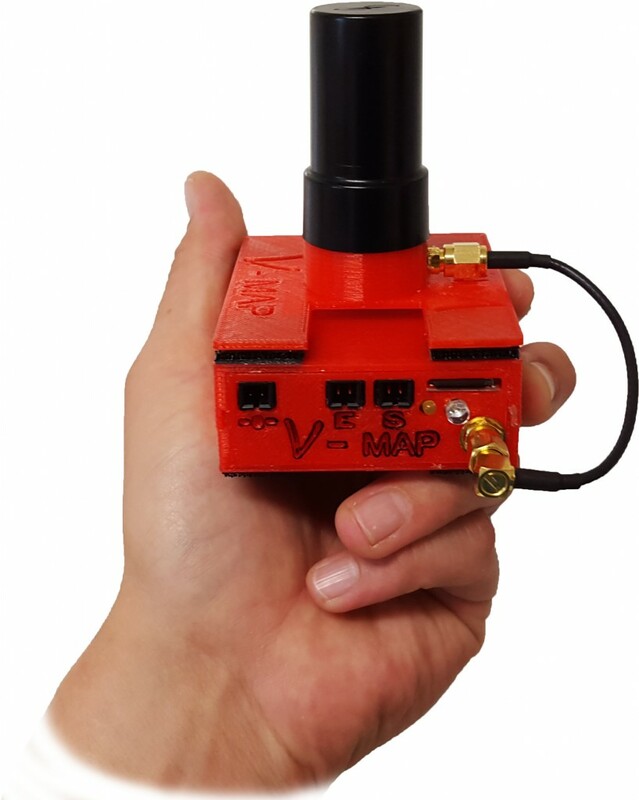 The V-map system can easily be integrated into any system, from "do it yourself" drones to proprietary unmanned aerial vehicles. At ~130 grams (4.6oz) even smaller off the shelf drones can be turned into precise surveying tools with a few simple steps. Just mount the receiver, center the antenna above the camera, connect a compatible camera, provide 6 to 36V to the system, set up your base station, power it on, wait for the green lights and fly your mission! Size (LxWxH): 80mm X 67mm X 25.5mm / 3.2" X 2.6" X 1"